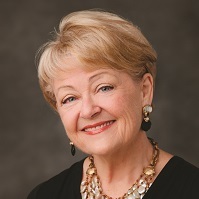 Marjorie Doyle is an expert practitioner and leader in the field of ethics and compliance. She works with all organizational levels including Chief Ethics & Compliance Officers, CEOs, Boards of Directors, and any others responsible for the implementation of effective ethics and compliance programs. She advises, coaches, counsels, develops, and helps to implement these programs in a way that successfully imbeds them in business processes. She performs ethics and compliance program assessments and audits for companies as well as independent assessments and audits requested by the government pursuant to an agreement with a company (audits, assessments, pre-monitor and monitor duties). Prior to her consulting practice, Marjorie was EVP, Chief Ethics & Compliance Officer at Vetco International where she was responsible for a newly formed organization of compliance officers, directors, and specialists. She reported directly to the Compliance Committee of Vetco’s Board of Directors. While at Vetco she built an ethics and compliance function which resulted in several best in class practices after the company entered into an agreement with the US Department of Justice resulting from Foreign Corrupt Practices Act (FCPA) violations pleas. Before Vetco, Marjorie was the first Chief Ethics & Compliance Officer at Dupont, where she founded and led the Ethics & Compliance Central organization, the first dedicated team of compliance officers chartered with furthering the company’s global ethics and compliance objectives. Earlier, Marjorie created the Proactive & Preventive Legal Care(sm) program and brought legal, ethics, and compliance web-based education to Dupont employees globally. As head of litigation at Dupont she helped create and pioneer the Law Firm Convergence Program, now known as the Dupont Legal Model. In 2005 Marjorie was awarded the Society of Corporate Compliance & Ethics (SCCE) award for her work and contributions to the ethics and compliance community. Marjorie is a regular speaker and contributor on ethics and compliance programs, FCPA and anti-corruption and anti-bribery programs, board of directors’ responsibilities, ethical cultures, and all elements of building a successful program. She is a member of the Advisory Board of Directors of the largest ethics and compliance professional association, The Society for Corporate Compliance and Ethics (SCCE), former member of the Steering Committee of the Open Compliance and Ethics Group (OCEG), charter member and former chair of the Council on Corporate Compliance of the Conference Board, charter member of the Compliance & Ethics Leadership Council of the Corporate Executive Board, a member of the Ethics and Compliance Officers Association (ECOA), and a member of the Ethics Research Center (ERC). She has both the CCEP-I and CCEP-F certifications for the profession. She has written numerous articles and contributed to books on various topics relating to the ethics and compliance profession. Her most recent publication is a pamphlet for the SCCE entitled “Third Party Essentials: A Reputation Checkup When Using Third Parties Globally”. The pamphlet was written by request of the US Department of Commerce to be distributed to its offices around the world. Marjorie is a faculty member and regular instructor at the SCCE’s ethics and compliance academies including Shanghai, Dubai, Brussels, Sao Paulo, and locations in the United States. Earlier in her career Marjorie was a litigation associate with Fulbright & Jaworski in Houston, Assistant US Attorney for the District of Connecticut, and Law Clerk to the Honorable John R. Brown, Chief Judge of the US Court of Appeals for the Fifth Circuit. Marjorie is a graduate of Mount Holyoke College and the University of Houston Bates College of Law where she served as Editor-in-Chief of the Houston Law Review.